Just got an email , "On March 22, 2007, only days after being honoured in Ottawa for her work with Aboriginal women, Brenda MacIntyre will be recognized as Aboriginal Businesswoman of the Year at the Toronto Aboriginal Business Association Entrepreneurs of the Year Awards." Con'grat Brenda !! - ALL THE BEST IN THE FUTURE !! I met Brenda with her group a long time ago at AANJIIWENDAMIN - A Cross-Cultural Dialogue on Aboriginal Issues in 2005. visit www.BrendaMacIntyre.com or www.MySpace.com/brendamacintyre or more info on her works. 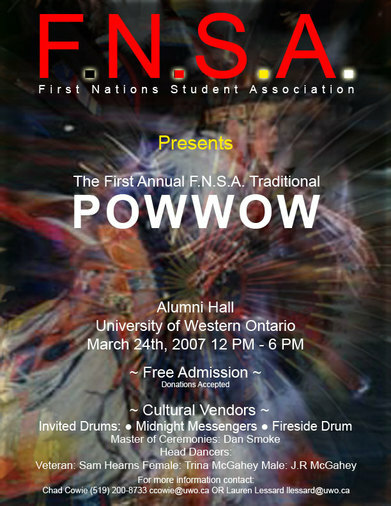 First Nations Students Association (F.S.N.A) of the University of Western Ontario are having thier first Campus PowWow on Marth 24th. If you are in that area then kinda visit them to make their event a good one !! I have always found that participant /attending these type of events as a pretty unique experince. was this another hack on the blogger platform ? When this information was posted, I was the first person to state "was this another hack on the blogger platform ?" - I continued to cut the chatter within the forum. Yes, we know that the Host Overflow Application eXception vulnerability is in the wild – any blog that supports RSS and MetaWeblogAPI can be h4x0red. We are yet to confirm vector of the attack. Google has stated that there was indeed a bug in the blogger platform. Se:kon/Boozhoo which mean's Greeting !! in the Seneca and Ojibway language, pronounced 'saygo' and 'booshoo' !! The Native Indian Day is coming up soon- Sept 22nd. I have a close relationship with the Native Indians', I trace my maternal roots back 1728 - the Mayan Indian in Yucutan. Before America was America, this land was comprised of various tribes and tongues that were (are still are) as diverse as our modern-day melting pot. September 22nd is recognized as Native American Day this year, and though Native Americans take pride in their heritage on any occasion, this day gives reason for celebration and education. Whether you're an American Indian or not, take some time to learn more of our history pre-Columbus and take part in Native American culture. Good for you Cecilia Fire Thunder .. Go get them girl !! Bokardo has a nice post on Grazing. [..] "With every level that we reach, we’re happy for only a short period of time. We will continue to want increased efficiency, and increased denseness of information." Miyamoto Musashi once said "Ken and Kan are the balance of understanding, Ken is seeing the superfical phenomenom , Kan is seeing the underlying principals." My thoughts on this, is that the next generation of thinkers will form in a closed circle based on word of mouth type of efficiency- once in --it will be like the "Skull and CrossBone" club type of grazing ground. Inforamtion assest and knowledge will be totally leveraged to sustain power and in that manner wealth too. We are going to be in Toronto to help with the U of T's First Nations House Aboriginal Awareness Week of activities. We will be kicking off the week with a Sunrise Ceremony on Monday, Feb. l3th at 7:00 p.m. The location is at the east end of Hart House in a small garden area, which is right next to the Queens Park Circle. Afterrwards there is a breakfast meal at the First Nations House. There will be an Opening Ceremony at 9:00 a.m. with the U of T reps and the First Nations House Elders. Afterwards we will havea Talking Circle with teachings at 10:00 - 12:00 p.m. and then there will be a lunch. I want to once again wish each and every one of you a Happy New Year! We have an exciting new year ahead of us filled with much work and hope. Due to your generous donations to the LPDC my legal team was able to obtain the necessary documents withheld by the FBI, as well as pay for copying costs of the documents. My legal team will be providing a legal update later. For those of you who donated towards the travel expenses for my family to visit me during the holidays, I send you my deepest gratitude as well as that of my family. I can not find the words to express or convey to you how wonderful it was to sit with my family and enjoy my grandchildren's smiles and laughter. I hope to one day soon have the opportunity to share embraces with all of you, friends and relatives. I have been receiving daily updates from the LPDC on all the activities and events that many of you are organizing for Feb 6, 2006. For those who are getting together in your homes to watch "Incident at Oglala," I will be there with you in spirit. 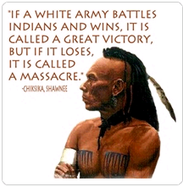 I have also been told that many of you have contacted local theatres and have organized rallies and events that include viewings of "Incident at Oglala" or "Warrior." I commend you for your work and efforts in educating others about me and about the injustices and constitutional violations of my illegal incarceration. Many of you will be an Army of One, passing our brochures, holding signs, and writing letters of support. Thank you, your strength gives me strength to continue our fight for my freedom. I ask you to please continue to support the LPDC and Legal Defense Committee with your thoughtful and generous donations. They are now comprised of an all volunteer staff. They are a dedicated team committed to my freedom, which have refused salary at this critical juncture. All donations sent to the LPDC are used for my ongoing legal campaign. 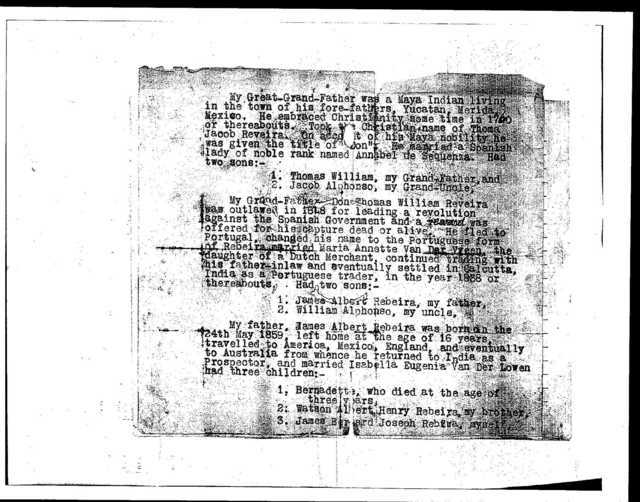 We are also in dire need for funds to open a Defense Committee office near Lewisburg. There has not been a permanent office since my transfers this past year and opening an office here in Lewisburg is a high priority. On Saturday, January 21, I was told the following message regarding Enya, a 10 year old supporter who wrote and contacted the LPDC with the following message, " I attend an all white school, and the kids make fun of me because I am Native American. On Feb 6, 2006 I am going to wear my Leonard Peltier shirt to school. Leonard Peltier is not afraid and neither am I. I am proud to be Native American." The LPDC contacted Enya and Enya proudly told them that wearing the Leonard Peltier shirt is a Badge of Honor for her. them. I ask you to stand with us in the face of this struggle. The First Nations University of Canada has reached a settlement with one of its fired employees. Leonzo Barreno, the former director of international and special programs, was fired last August amid allegations of financial mismanagement after being suspended in February while a forensic audit was performed on university records. Barreno has denied any wrongdoing. During an arbitration hearing Monday and Tuesday, Barreno and the FNUC reached a settlement and have resolved their differences, according to a news release. About time that Canada Paid !!! Canada has a shameful history of racism towards its indigenous people and their descendants, who now number roughly 900,000. Years of misguided policies have left many members of the three officially recognised aboriginal peoples of Canada - the First Nations, Inuit and Métis - living on remote, overcrowded reserves without clean drinking water or sewage treatment. Their health has suffered. Infant mortality is three times the norm, and the rate of suicide is six times the national average. The proposed settlement would offer students $10,000 each, plus $3,000 for each year they spent at one of the 130 schools. In exchange, they would have to agree not to sue the federal government or the churches for damages.